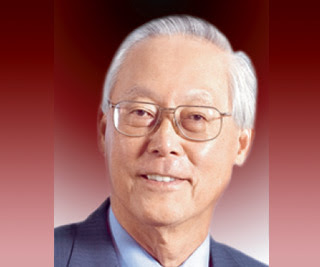 IT HAS been more than 25 years since then-Prime Minister Goh Chok Tong first mooted the idea, in December 1984, of Singapore achieving a Swiss standard of living by 1999. We seem to have moved beyond talk of a Swiss standard, towards aiming to be a global city. But to what extent is Switzerland still an appropriate role model, and should cross-pollination between the two cultures be looked at more seriously? After all, we share many similarities. Compared to our neighbours, we are both small countries with strictly limited natural resources, which punch above our weight. Like Singapore, multi-ethnic Switzerland has four official languages: German, French, Italian and Romansch. Living with foreigners is also something held in common. "Thirty, 40 years ago, people from Italy, Spain and Portugal were building our roads, to build our nation basically," said businessman Martin Silberstein, who is also president of the Swiss Club in Singapore. Some sentiments may be held in common, suggested one Swiss expat. Mr Michael Schuerch, who has worked in Singapore, and now works in the banking industry in Hong Kong, said: "Switzerland is not part of the EU. Like some Singaporeans, some Swiss think we are special and unique compared to our neighbours. However, the Swiss who travel abroad may recognise that they're not that special." As nations that are also financial hubs, Singapore and Switzerland similarly experienced having been briefly put on the Organisation for Economic Cooperation and Development's (OECD) "grey" list. Last November, Singapore was taken off the grey list, which comprises countries that are not sufficiently transparent in sharing tax information. "Switzerland has adopted, like Singapore, the OECD standards with regard to transparencies and with regard to the exchange of information with regard to tax issues. Singapore, like Switzerland, was on the grey list almost at the same time," said Mr Joerg Alois Reding, the Swiss Ambassador to Singapore. "Since last September, Switzerland was able to fulfil the requirement to be taken off the grey list by concluding more than 12 double taxation agreements," he said. Small nations need to have their niche, said the Ambassador. "I think Switzerland and Singapore, we will ... always be able to find the niche in order to fufill the expectations of the markets. "I think we have to let our voice be heard through our economic and administrative competencies." Of course, there are many differences between the two. Under Switzerland's system of direct democracy, for example, people vote in national or regional referendums which can be called several times a year. Also, environmental consciousness and recycling are taken more seriously in Switzerland, where "nobody just throws out old batteries", said Dr Suzanne Hraba-Renevey, executive director of Swissnex, which promotes Swiss education and innovation. For one Singaporean, working in Zurich for a year was a pleasant surprise. "To be frank, I've been working for probably 11 years and working in Zurich was actually the first time I actually achieved work-life balance," said Ms Crystal Koh, a financial lawyer in her 30s.